We have compared CrossFit verses Globo gym membership cost here and the skills and movements here. 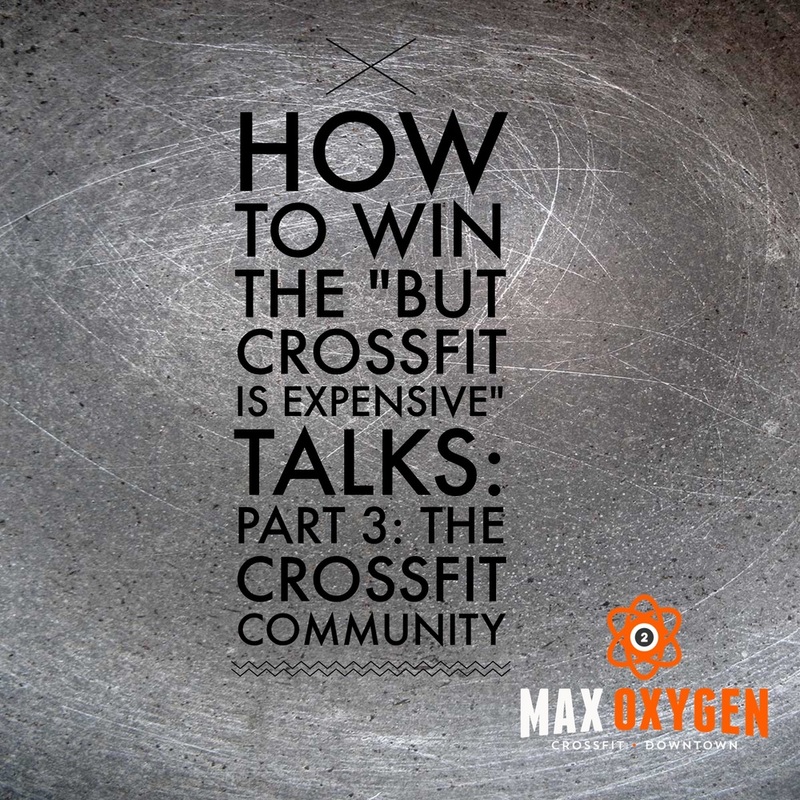 Today we look at something that can't be compared to at a Globo gym: The CrossFit community. You simply cannot recreate the community that a CrossFit box has. This is something that can't be forced but happens naturally. We do introductions in class but as you work alongside one another each class, sweating and grinding away at the workout, accomplishing goals and setting PRs, something happens. Those fellow class mates cheer you along, fight through it with you, and that creates a special bond. They get it. They can talk about yesterday's WOD with you, the soreness in your legs from squats, understanding what an AMRAP is or how tough "Cindy" gets at round 14, and how much you wanted to quit but kept going. You then begin talking more with those in your class, you get to know where they work, what life outside of the box is like for them, their favorite cheat meal, and you may then exchange cell numbers to hold each other accountable to getting to the workout the next day. This may lead to going out for drinks or coffee after classes, setting up a doggy date at the dog park or a play date with the kids. These people in your class become friends. Tell me how many friends you made at Globo gym? I went to one for years, I said "hi" but I did not know a single person's name-ever. Everyone is wearing headphones, watching TV, doing their own thing, doing everything possible to distract their selves from the fact that they will be there for at least an hour, probably longer, trying to forget they are working out, stepping it out on a stair climber, doing arm curls, or using the Smith Machine to half squat. We won't ever have a TV going or mirrors to distract you from feeling what proper movement is and allowing your brain to only focus on that lift or next rep. We want you present, 100% during that hour you are at CrossFit. We expect that. I have heard numerous times that “this is the best hour of my day”. This is YOUR hour to no think about work, not think about kids or the family, and not think about the to-do list.